The manufacturing of powder, capsule, and suppository drugs, can be undertaken at the production facility equipped with clean rooms (Class 10,000–300,000). We manufacture patient-friendly mount seal packs. The main production line includes suppository filling-bottom sealing, PTP packaging, PC packaging, pillow packaging, cartoner packaging, etc. 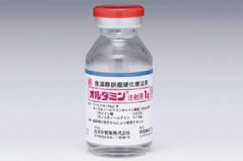 In addition to manufacturing our own drugs, we offer contract-based manufacturing services to Japanese pharmaceuticals. In order to ensure safe delivery of the drugs to patients, we are always trying to enhance the quality assurance system.